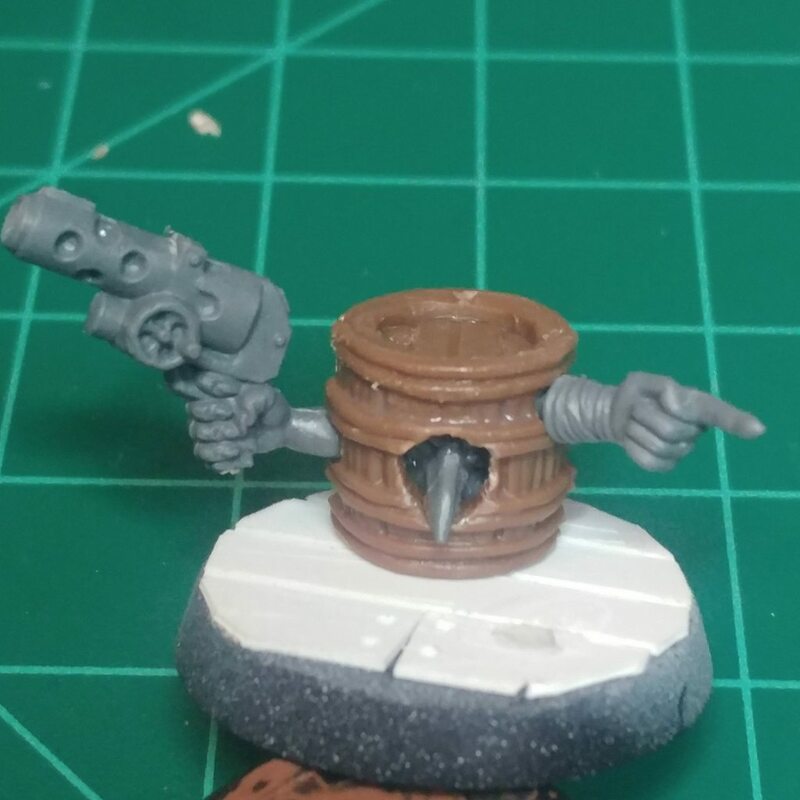 In the interest of not flooding the general forums with a million submissions for each of my various projects, I decided to open up shop here so all of my conversions, kitbashes and crazy builds will have a home of their own. So to kick things off with where it all began: With a $5 diecast toy truck from Walgreens that was calling my name when I saw it whilst perusing for cough medicine. 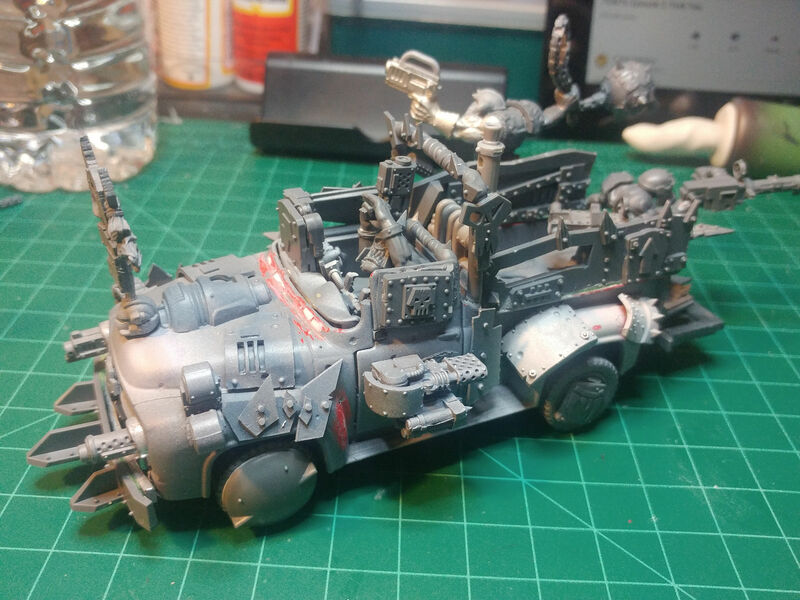 A RIOGHT KILLY troop transport. The Trukk maintains the opening doors, working tailgate, and pull-back engine (to make vehicle combat EXTRA BRUTAL). All of the pictured boyz are magnetized for no real reason. That's a theme I'm sure you'll notice very quickly with my builds. Here's an album with more pictures. 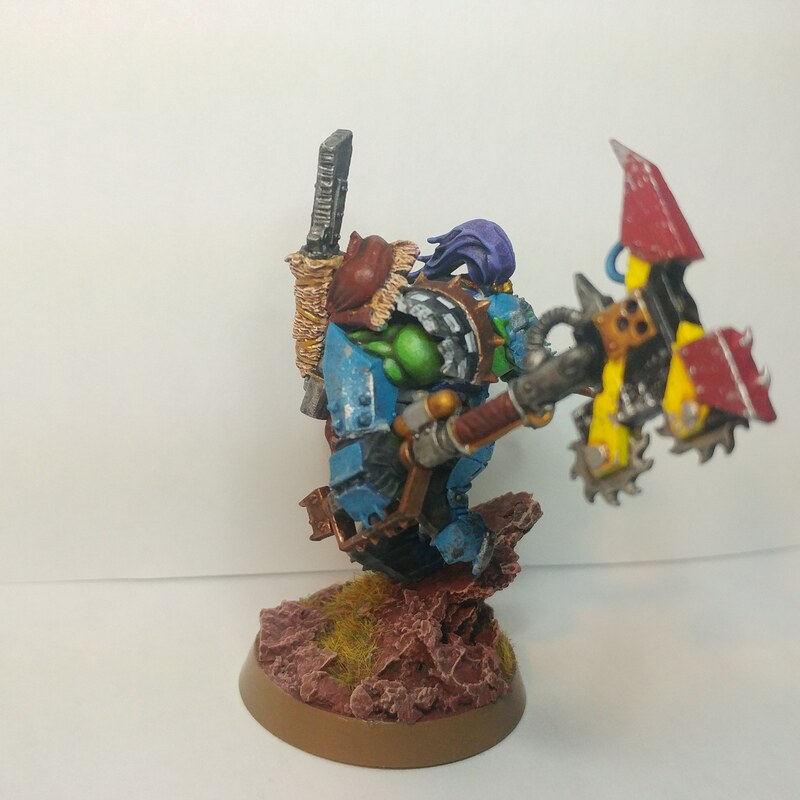 Next up is one of my custom Boss Nobz. 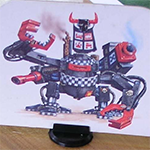 One of the reasons I started an Ork army in the first place was seeing the awesome sculpts that the Bloodbowl Orruks had, in particular the stellar dynamic pose of the Blitzer, so along with the above Trukk this guy was part of my first few conversion projects. Unfortunately I didn't end up doing much with the Bloodbowl guys. I still have them, but only ever ended up finishing the one. But the fantasy dream lives on! 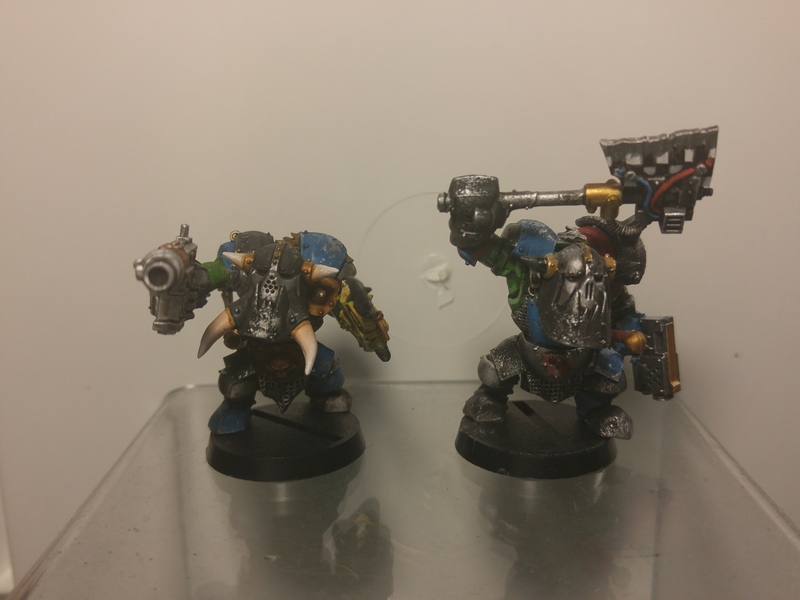 Another Orruk kit I liked enough to try converting to 40k was the 'Ardboyz. 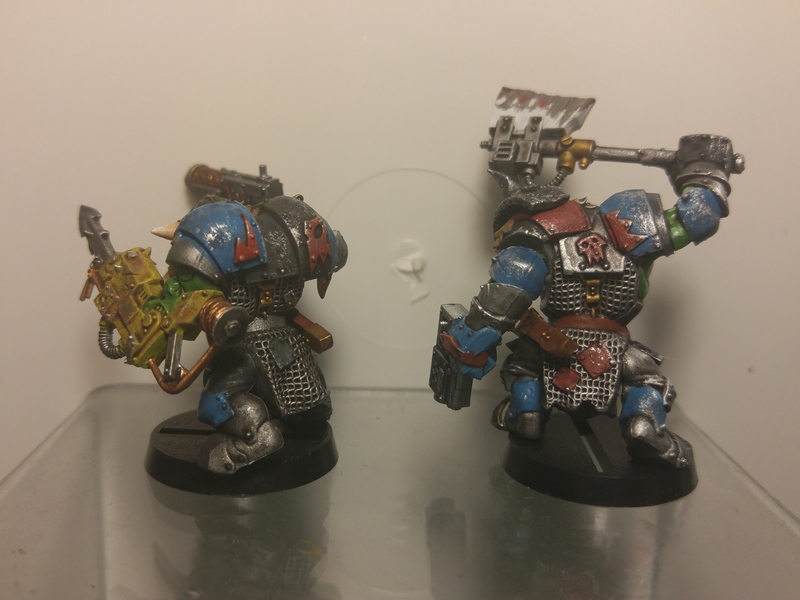 Unfortunately like the Bloodbowl models this project has kind of hit a wall. 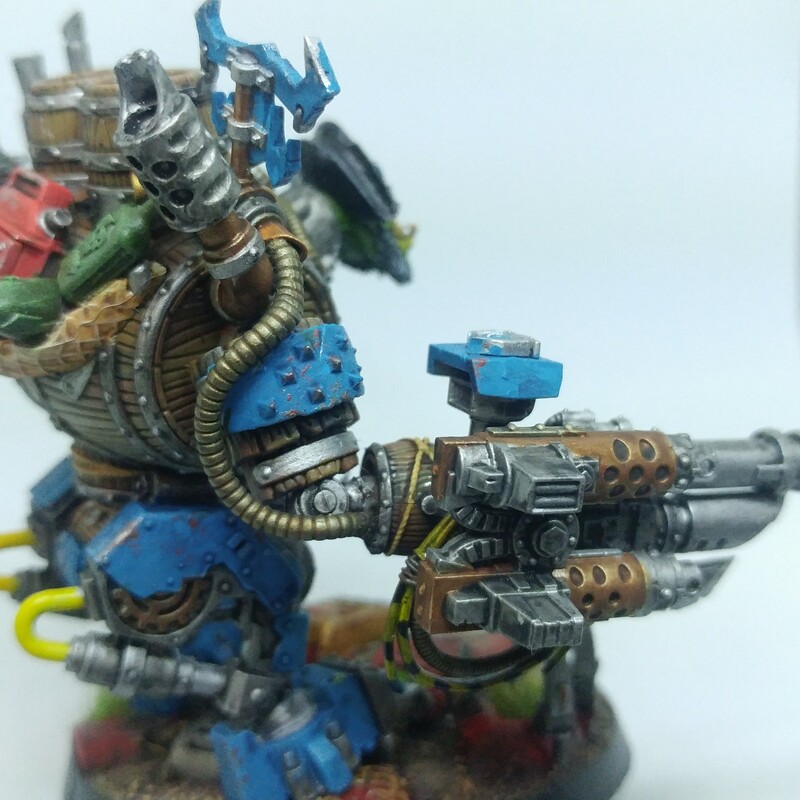 The 'Ardboyz have the proportions of regular 40k Boyz, but their bulky armor and arms-raised poses make them bigger and harder to bunch up. But they're not quite big enough to run as Nobz. Stuck somewhere in the middle with a relatively small amount of room for customization, they guys currently sit on the shelf collecting dust. Maybe in the future I'll give them another go. In the meantime, I've got some "Killa Kanz" to work on. 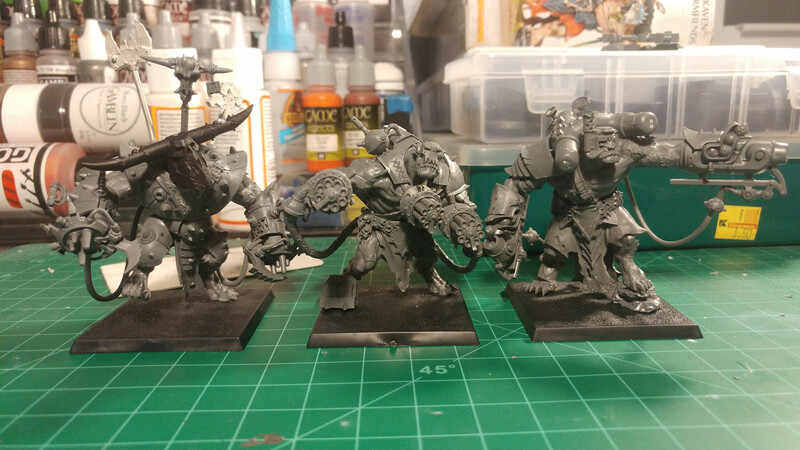 At least that's what I'm calling this trio of roided out super cyborks made from Skaven Stormfiends. They're The closest things in terms of size I can find so IF DA KLAW FITS, as they say. Now you old fantasy hats out there will no doubt recognize this behemoth; the Marienburg Landship. 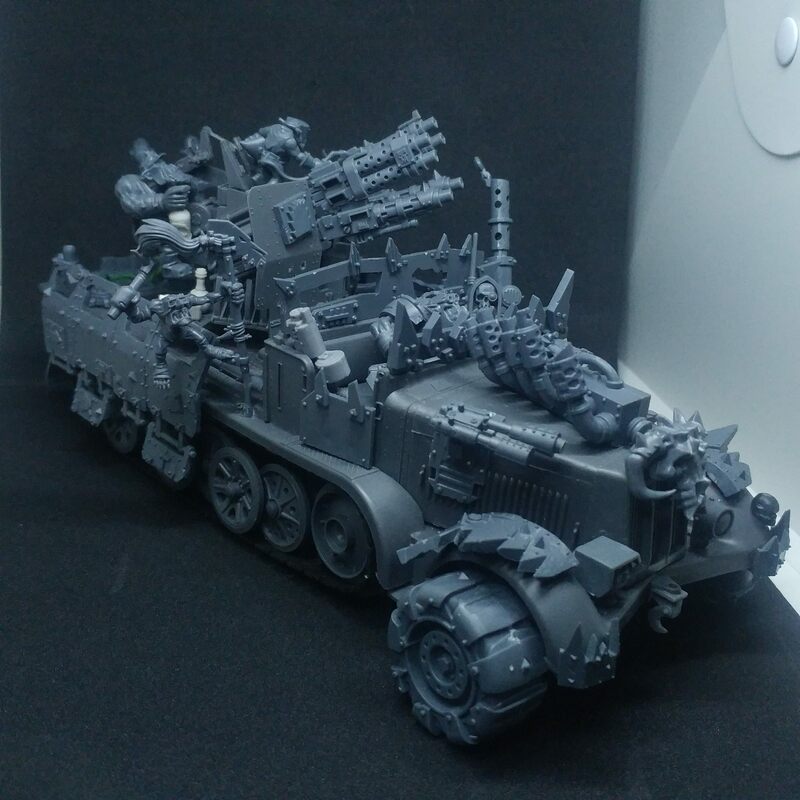 Being a Freeboota player this is, of course, the stuff off my wildest dreams when it comes to ludicrous vehicle conversion material. Unfortunately this big rolling monster is very hard to come by these days. They're rare and expensive on eBay and even if one were to turn to the dark side and go with Chinacast reproductions you would be hard pressed to find somebody willing/able to reproduce a giant chunk of resin like that. But what kind of SNIVELIN' GROT settles for such nonsense as "Out of production" or "Physically impossible"? Not this boy! 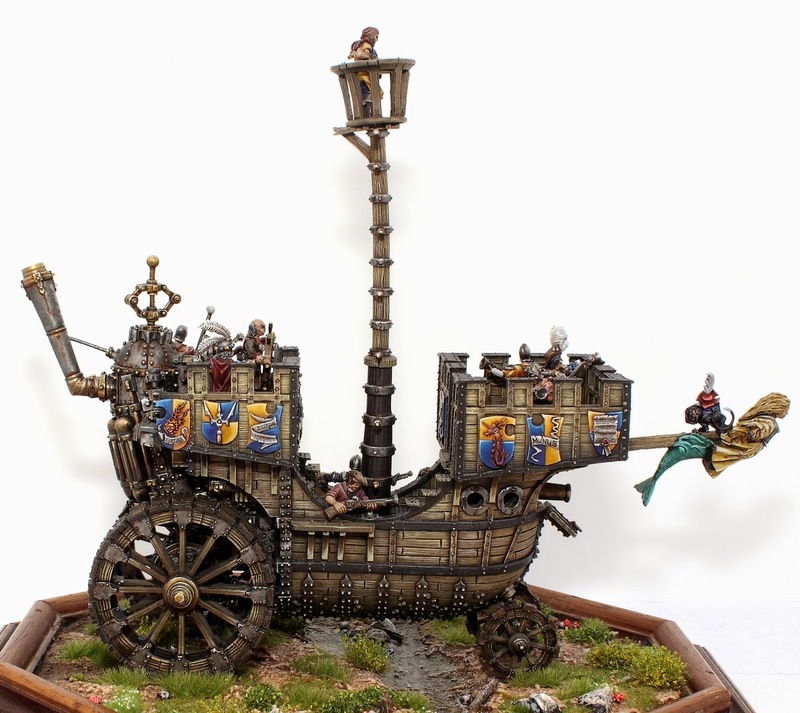 If I need pirate ship for a Battle Wagon then by Gork I'm going to have one! 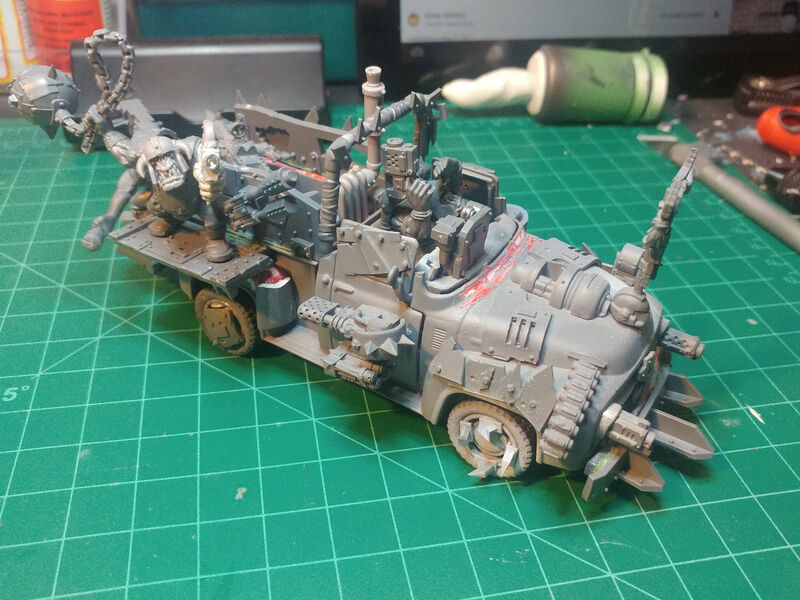 This was another early project, hence the relative lack of creative bitz usage and axle alignment that seems questionable even by Ork standards. It's far from my best work but one of my favorite just because it was the idea that made me fall in love with Freebootas in the first place. Some day I'll finish this thing up and add some more orkyness to bring it up to snuff. My biggest conversion project to date, and the one I had the most fun putting together, is hands down this kustom Bigtrakk. As I said I'm super proud of this build, so I took way too many pictures than what I could put here. Now I only need update rules so I can actually field the damn thing! 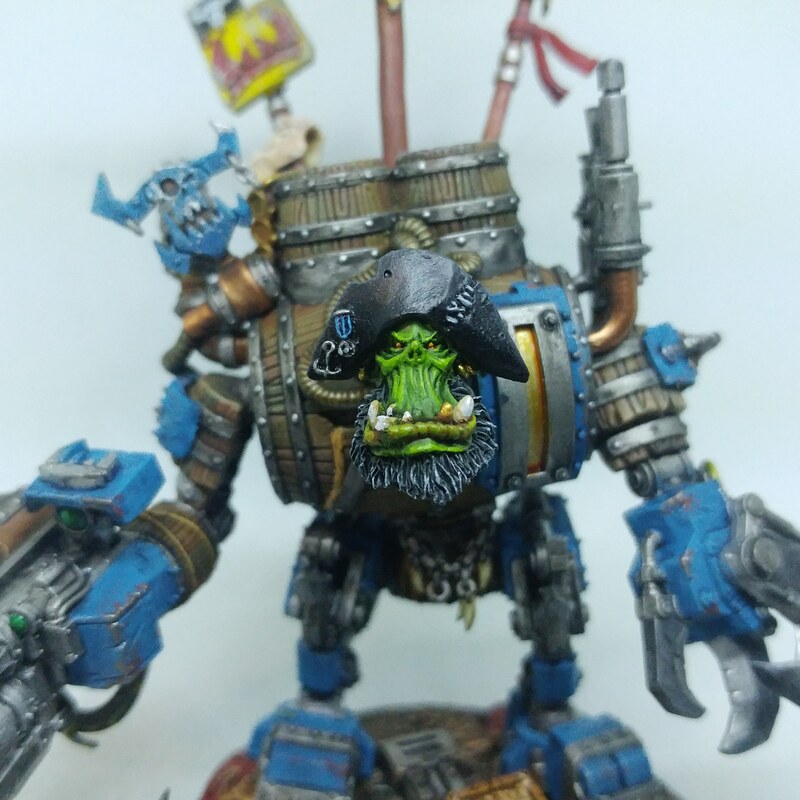 And last, but certainly not least, the pièce de résistance, the cream of the crop, DA BIG BOSS 'IMSELF, my Warboss and leader of my army, Kap'n Grogg. 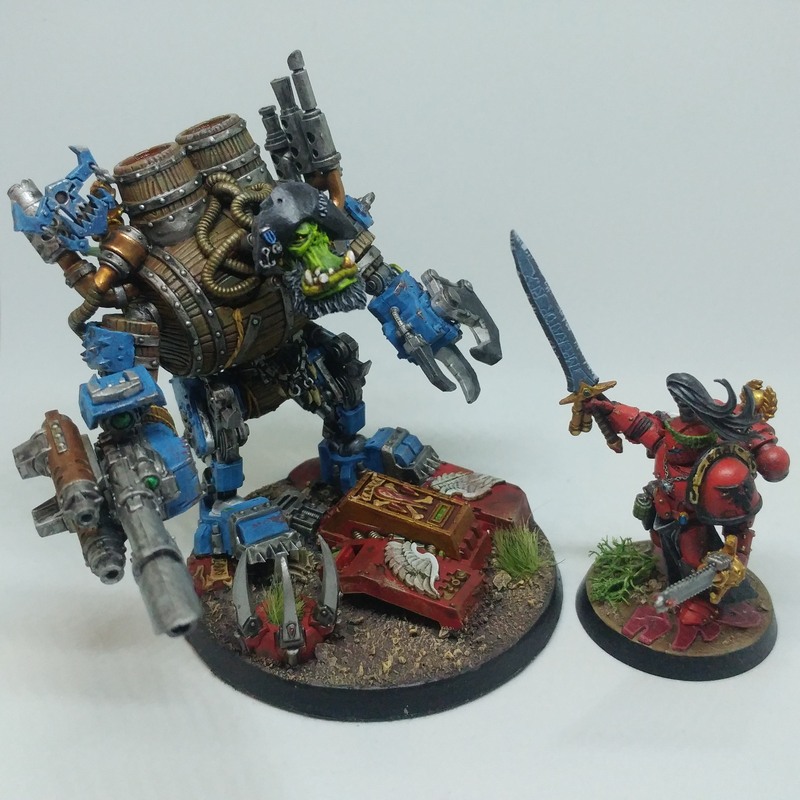 There's no official model for a mega-armored warboss (yet), but as soon as I saw Malifaux's Whiskey Golem I knew I had to have a big armored boy leading my army. I'm so incredibly happy with how this project turned out. From start to finish it was a blast, using new techniques and materials in an attempt to make the perfect centerpiece. And by Mork I think I pulled it off. 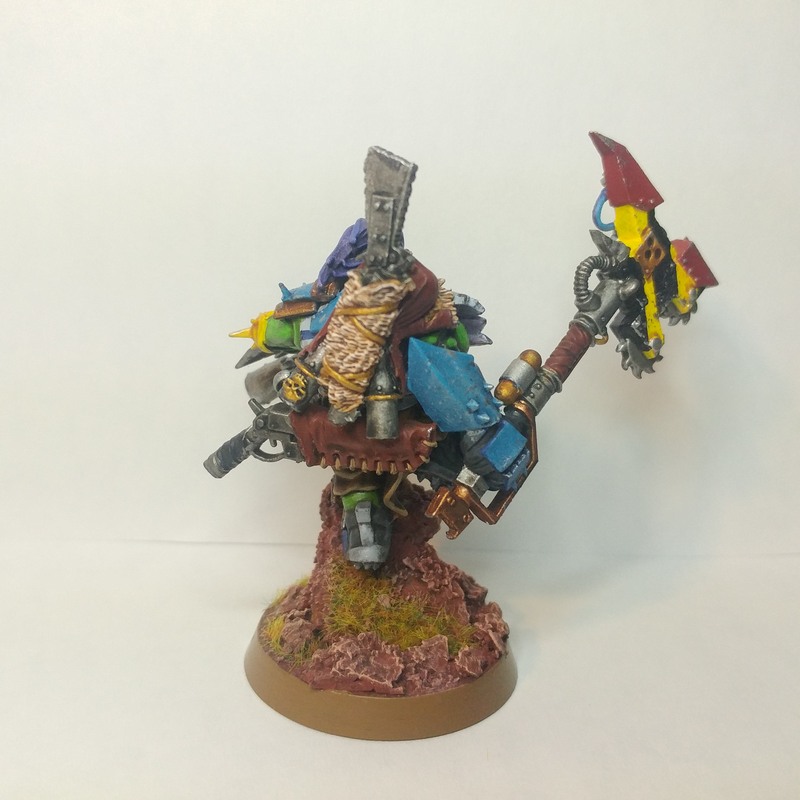 Again I have more pictures than I can post here of the Kap'n, as well as some info about him and my freeboota warband over here. And that's about it for now. 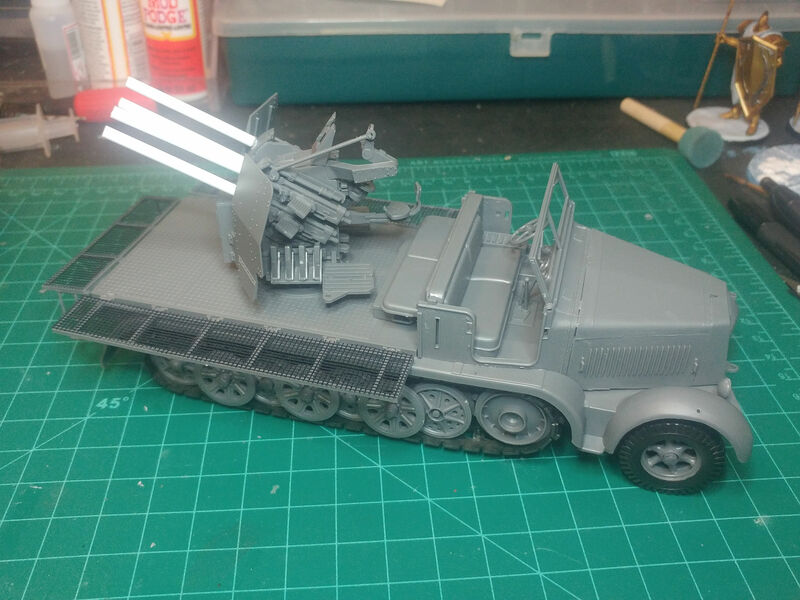 I have a handful of other half-completed and small scale conversion/kitbash projects in the works, and I no doubt will have many more in the future, so look out for updates to this thread. Thanks for taking the time to look over my collection. You's an alright bloke. Last edited by Snippy on Sat Apr 28, 2018 11:12 pm, edited 4 times in total. A couple more things I forgot to mention: I've been on a grot kick after buying a box of the little buggers during the recent spring sale. 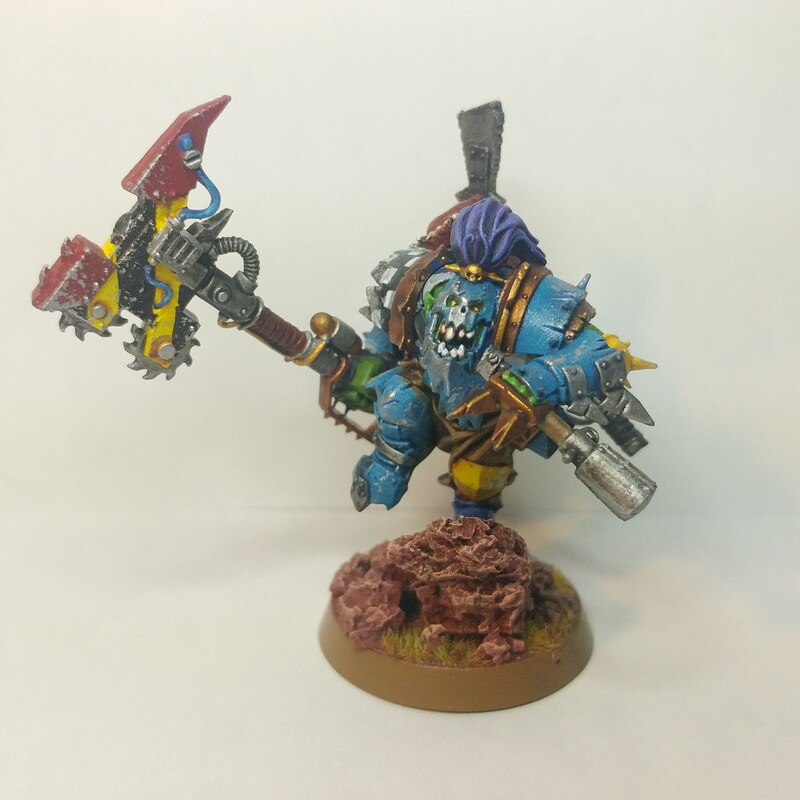 First up is my little counts-as Warboss that I made on a whim and a laugh. This is what happens when you're so preoccupied with whether or not you could that you forget to ask if you should. My fluff for this little guy is that he started off as a practical joke among the Meks to put their biggest weapon on the smallest runt. 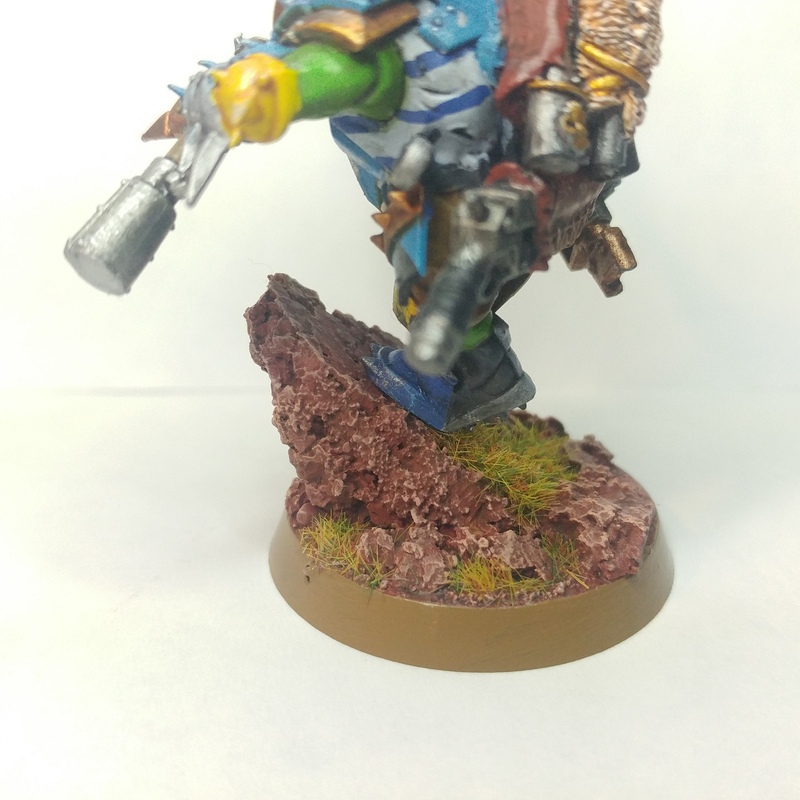 But they weren't expecting him to turn around and use it to start a revolution among the gretchin that threatened to tear the Star Swills apart! 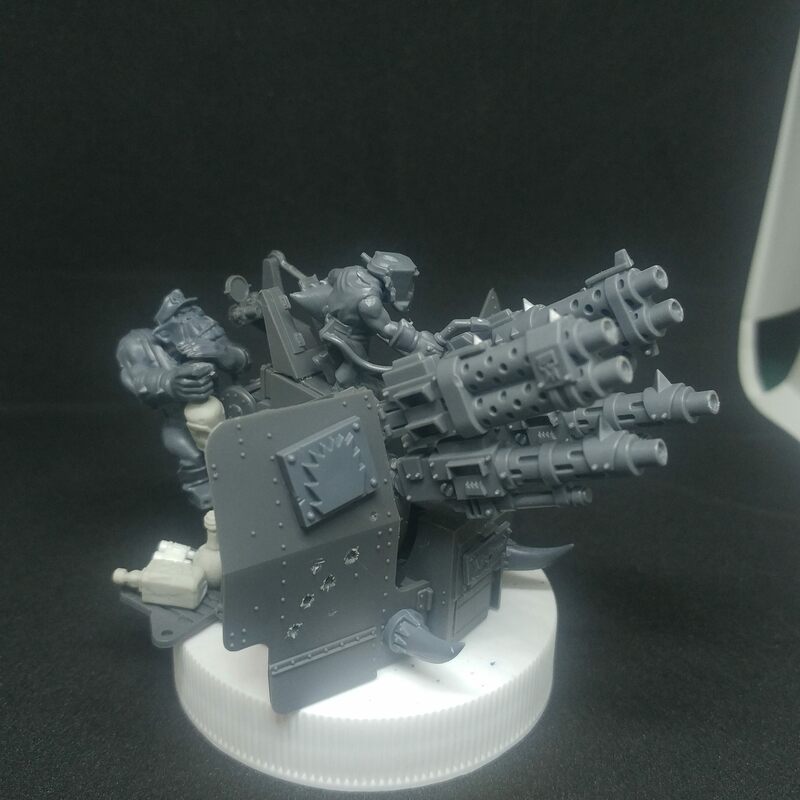 It was only the offer of a place at the head of the WAAAGH that appeased the overly armed grot warlord-to-be. Probably the farthest I've ever gone for a "joke" model. I don't regret a second of it. I remember seeing that on the reddits if I recall correctly. I don’t quite remember the base. I guess that’s a count as “big” choppa. I take it you were the one that bought those big robot arms in the clearance bin section? Shucks, righh when i wanted to grab the big gatling gun arm myself. 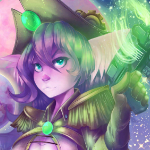 A new addition to da Mek Shop! 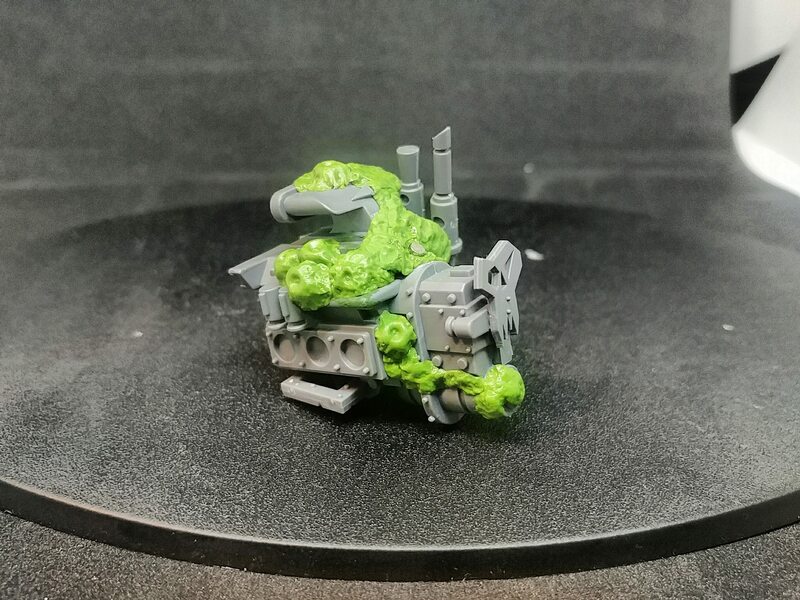 This time the head Mek of the Star Swills decided to invent something to revolutionize battle: A ship that traveled not through space, but ON WATER. 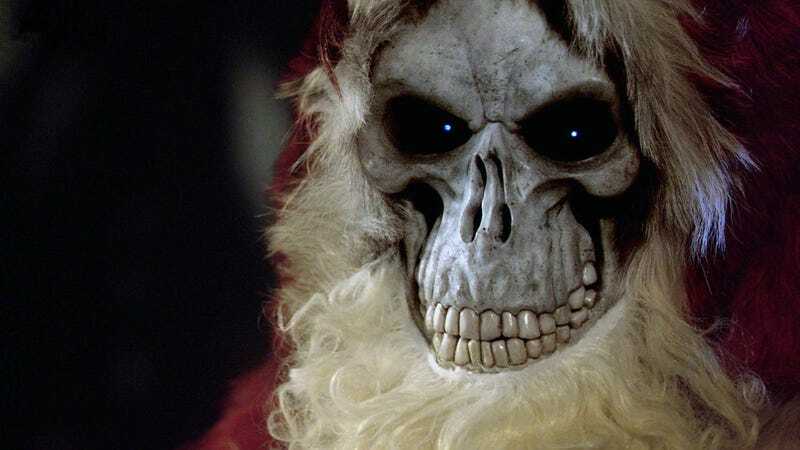 I know, I know, try to contain your disbelief. As you might expect from such an absurd notion of ships being able to function half submerged in water, the experiment didn't go too well. The ship wrecked on its maiden voyage, killing the Mek and all the grot crewmen aboard. 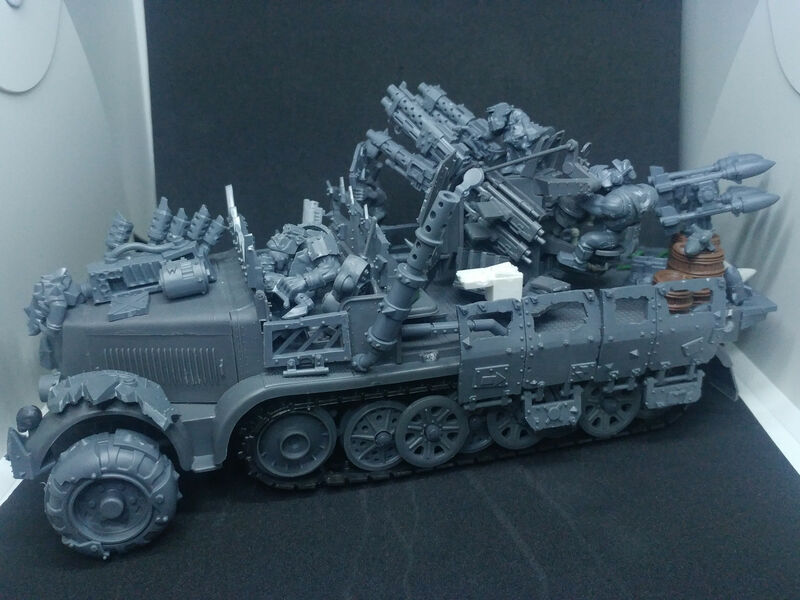 Thankfully the wreckage was retrieved and dumped into the lap of the next Mek in line, who reassembled the half-rotted mass of wood and metal into a walking war machine. 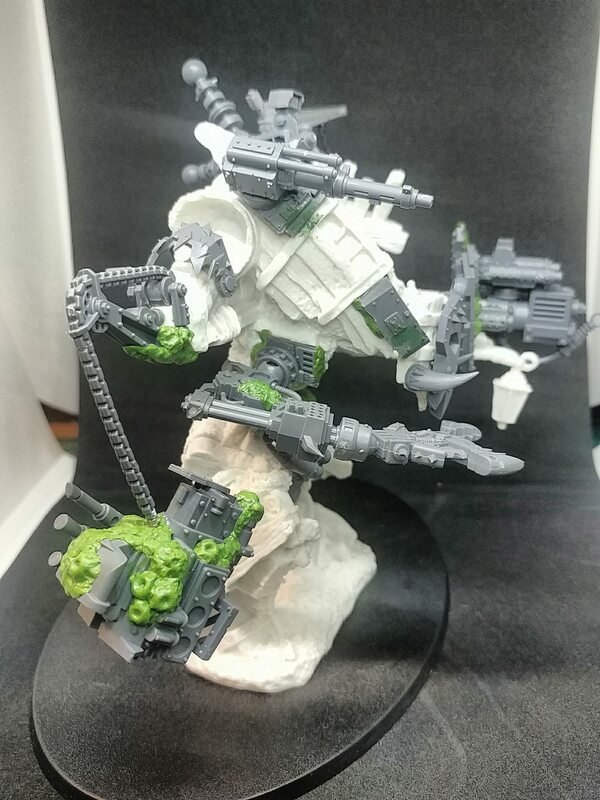 The original Mek's remains were also recycled with the help of the local Weirdboy, who resurrected the spirit of the slain inventor and locked it inside his lifeless bones to pilot the behemoth of his creation from beyond the grave. 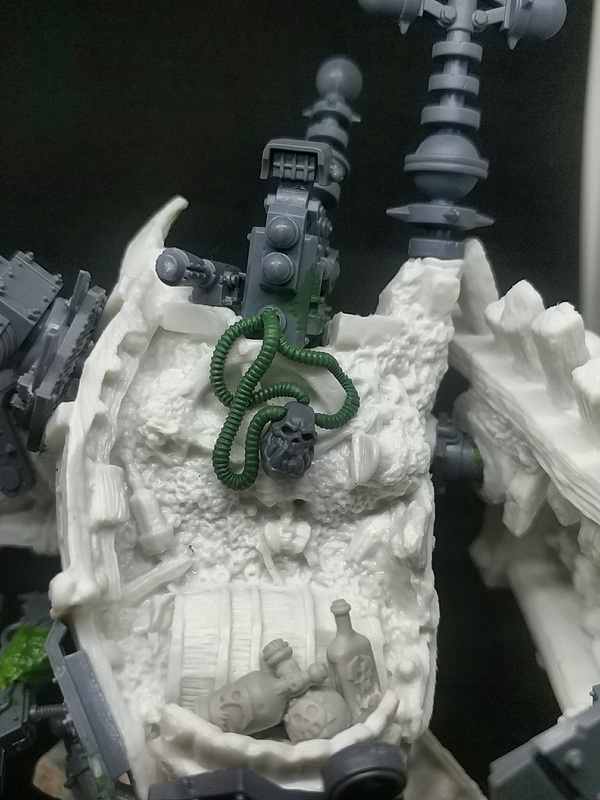 Probably my favorite part of the whole build, the barnacle and coral-encrusted engine block on the end of the swingin' chain. On this build I experimented with several things. 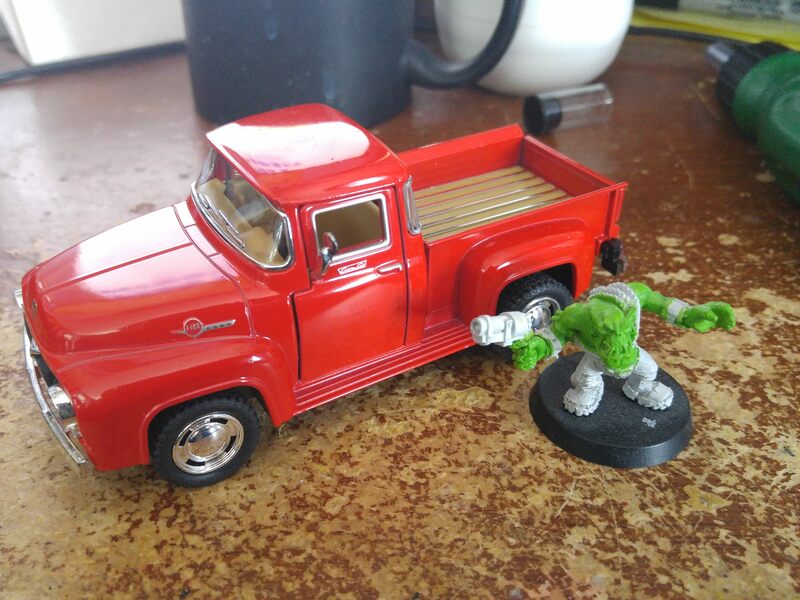 First, this is one of the biggest single minis I have ever worked on. 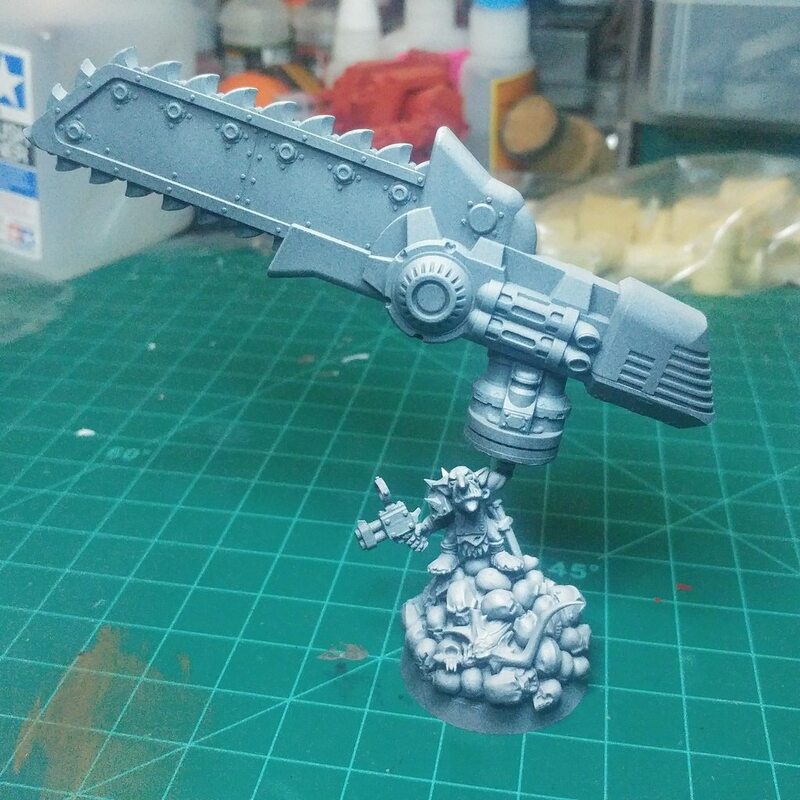 It's second only to my G/Morkanaut in scale. Second, the base model is a Reaper Bones miniature --specifically the Shipwreck Revenant. I've never worked with Bones minis before so this was a daunting and, frankly, scary gamble to make. I've done all the research I can to see if it'll be safe to prime and paint in my usual fashion (Vallejo airbrush primer) but I'm still incredibly worried that I'm going to ruin it before I can even get a base coat on the thing. Third, obviously the sculpted barnacles and moss and ocean gunk that I used to dirty up some of the metal areas so the transition between wood and steel wasn't so jarring. 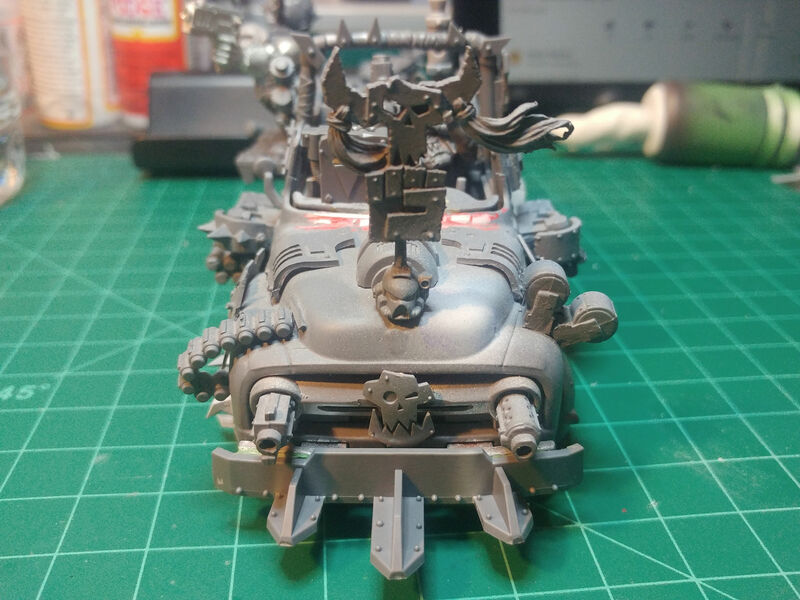 I think it came out alright, here's to hoping it looks even better when painted. Finally, this guy is going to be a big experiment on the tabletop. The closest thing I can find in terms of scale would be a Meka-Dread, which I can't say looks all that appealing based on the rules I could find for it. 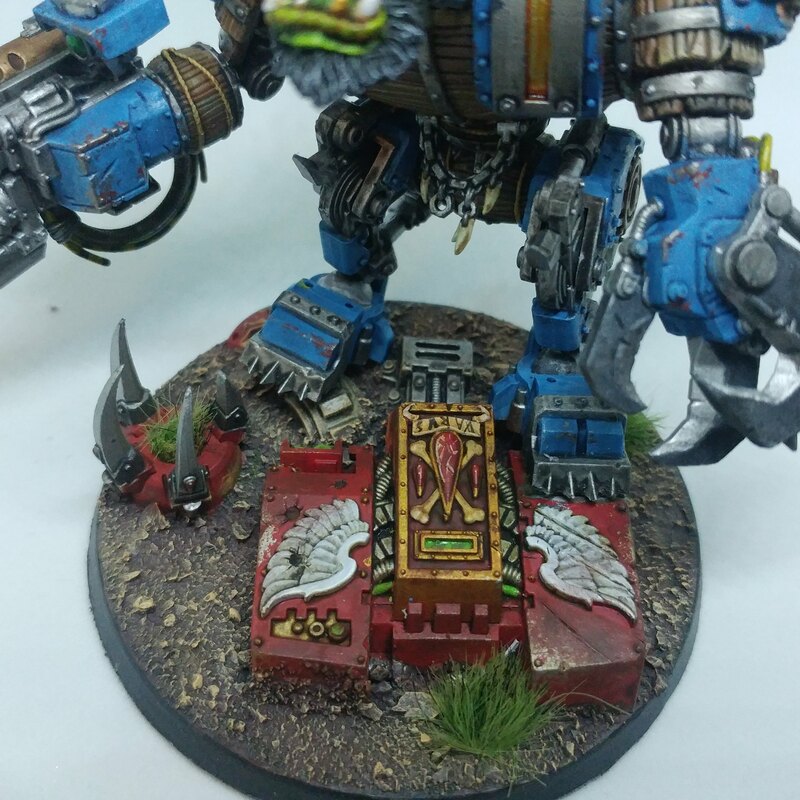 It's much too big for a Deff Dread, and a liiiiiiittle too small for a Gorkanaut, so I'm going to have to do some thinking about what he's going to do once he hits the Bunker. And that's it for this build! 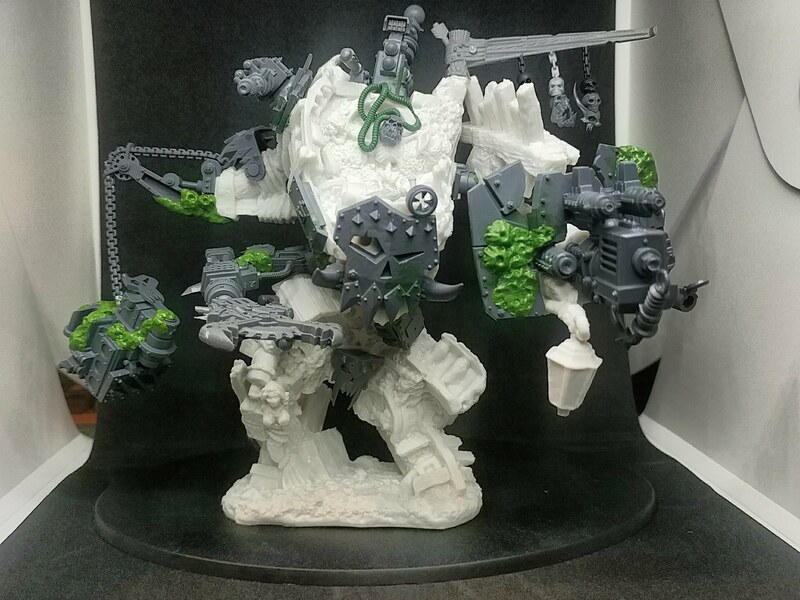 I'll post updates in the future when I can get down to painting this beast, and if I'm feeling confident enough you just might see him in one of my lists. I 100% endorse this army-keep up the good work!